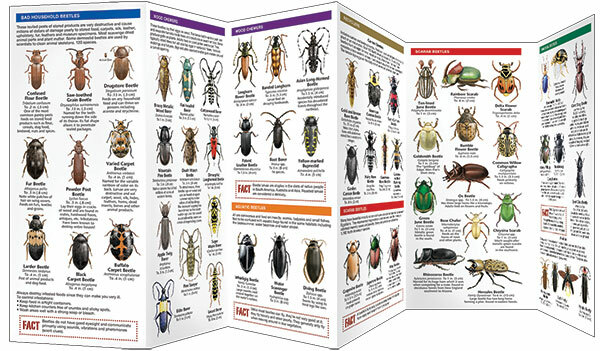 The jewels of the insect kingdom, there are over 400,000 species of beetles worldwide. 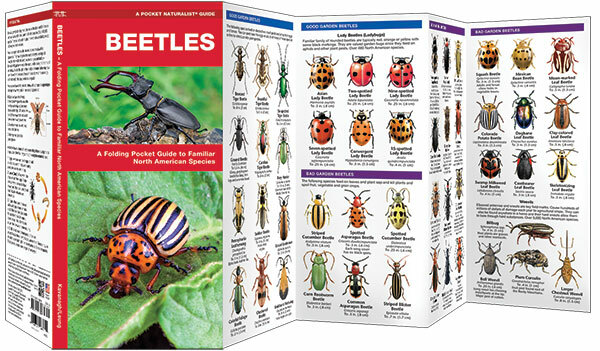 Beetles is the perfect pocket-sized, folding guide for the emerging entomologist. This beautifully illustrated guide highlights over 120 of the most common North American species. It includes information on their natural history, habitat and distribution. Laminated for durability, this lightweight guide is a great source of portable information in the backyard or out on the trail. Made in the USA.